This post will require some thought to ferret out its intended meanings, which are esoteric. As a reminder, this article is copyrighted by myself and may not be reprinted without permission. You might take this article as sort of a guided meditation, where you could re-enact in your mind the acts of ministry which are discussed. At the dedication of the Tabernacle, and likewise at Solomon's Temple the priests called fire down out of heaven. This fire burnt upon the altar of sacrifice in the courtyard. This sacred or divine fire was the only fire authorized to be used in the services of the Temple. It can be taken symbolically as a re-enactment of God's proclamation: "Let there be light." This original light which God created was clearly different from ordinary fire, because God did not separate the light from the darkness, nor did he create the sun and the moon until later in the narrative. This divine fire, in the context of the Temple, demonstrates God's blessing upon the work in which the Israelites were engaged, and by it they were able to perform the rest of their ministry. The altar upon which the fire burned was used for sacrifices which were brought to the tabernacle (or Temple). If a common person sinned, they were instructed to bring a female kid of the goats or a female lamb which they (not the priest) were required to sacrifice upon a table. The individual bringing the offering would slit the throat of the animal, the same way Kosher slaughtering occurs to this day, and the priest would provide a vessel in which to catch the blood of the sacrifice. 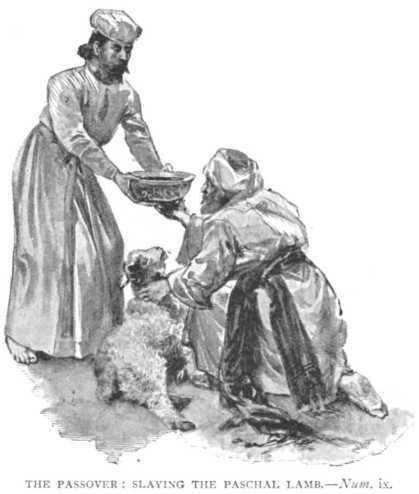 After this, the priest would put the animal upon the altar, and the blood upon the four horns of the altar and pour the remainder out at the base of the altar (Leviticus 4:27-35) . The priests which performed this service were the Sons of Aaron, the Kohanim, or the Cohens, as they are known today. The priests wore white vestments, with a blue ribband at the edge of their garments, as described in the Bible. This clothing is a worthwhile study in its own right, but I will only go so far as to mention it here. Exodus chapter 30 verse 7 through 9 tells us that Aaron was commanded morning and evening to burn incense upon the altar in the Holy Place, or Middle Chamber of the tabernacle. We know that this duty was assigned to the ordinary priests as well, for it was the duty that Zacharias, the father of John the Baptist, had been selected for on the day that the angel appeared to him to inform him of John's upcoming birth and to instruct him as to what name should be given to the child. It was the most distinguished and honorable duty that the ordinary priests could perform; the pinnacle of their service in the Temple. The Priests were to minister in the Courtyard and in the Holy [Place], but only the High Priest could minister in the entire Temple, including the Holy of Holies, the Most Holy, or Sanctum Sanctorum, as it is called. This passage is symbolic. While the priests were required to wash in the laver before entering the Holy Place, the right hand was also customarily known as the clean hand, and anything brought into the ministry before God would have been carried in the right hand, such as was the case with the incense. Worshipful Bro. H. Meij has written a wonderful article on the pot of incense and why it is symbolically associated with a "pure heart," and I will not take the time to repeat his material here. The priest had to be humble (not puffed up in vanity) and, and not sworn deceitfully. In other word, he must have kept his priestly covenants, obligations, or vows; or, to have shown suitable proficiency in his preceeding ministry to entitle him to enter. The priest was required to burn the incense on fire taken from the sacred fire at the altar of burnt offering in the courtyard. (And Nadab and Abihu died, when they offered strange fire before the LORD. ~Numbers 26:61) So the priest, using the fire from heaven, entered the Holy Place carrying incense in his right hand - his clean hand, and he would pour it out of his hand over the altar of incense, while "the whole multitude of the people were praying without." If any of the priests sinned, they would sprinkle the blood of their offering seven times before the vail (the entrance to the Holy of Holies) and put blood upon the horns of the incense altar in the Holy Place, pouring the remainder out at the base of the altar of sacrifice in the courtyard. The High Priest, in addition to his various daily duties, had the special privilege and responsibility of officiating during Yom Kippur (Day of Atonement) services, the yearly cleansing ceremony which ultimately atoned for the previously confessed sins of the people for the entire preceeding year. On this special day the priest was allowed to enter the Sanctum Sanctorum, or Holy of Holies. The High Priest in his standard ministry wore robes that were more ornamental than those of the other priests, but on the Day of Atonement, he stripped off his colorful vestments, and wore only the white robes, very similar to the robes which the other priests wore during their services. This arrangement is similar to the ancient Masonic arrangement of having a Lodge of Fellowcrafts presided over by a Master. Over the course of time, within Masonry, we have changed our custom so that we now have lodges consisting entirely of Masters, with one of them deemed "Worshipful," and the Master's degree is now given to all worthy brethren instead of only those becoming the Master of a Lodge. 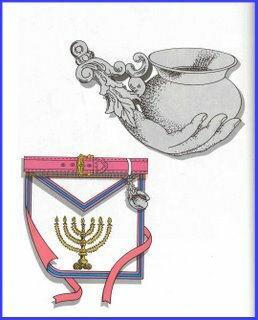 Masonic tradition informs us, concerning Hiram Abif, that "it was the usual custom of this great and good man, at high twelve, when the Craft was called from labor to refreshment, to enter the Sanctum Sanctorum, or Holy of Holies, there to order up his adorations to Deity and draw his designs on the Trestle-board." This text is according to a Mason from Nevada. However, in Oregon, where I am located, our working goes on to says something to the effect of: "and to offer up prayer for his own sins, and the sins of his people." And ye were now turned, and had done right in my sight, in proclaiming liberty every man to his neighbour; and ye had made a covenant before me in the house which is called by my name . . .
"Ordinarily, everything brought in actual ministry unto God must be carried in the right hand— the incense in the right and the censer in the left. 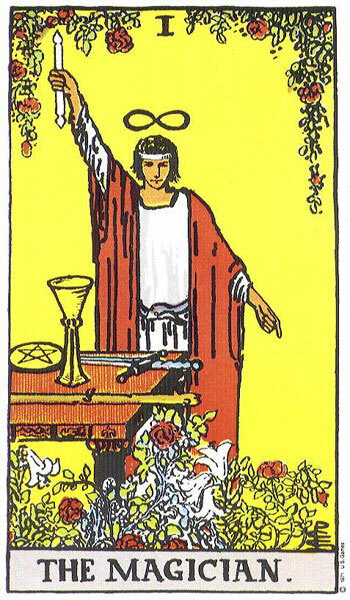 But on this occasion, as the censer for the Day of Atonement was larger and heavier than usual, the high-priest was allowed to reverse the common order. Every eye was strained towards the sanctuary as, slowly bearing the censer and the incense, the figure of the white-robed high-priest was seen to disappear within the Holy Place. After that nothing further could be seen of his movements." I have reasons, which I will not go into (as some are more along the lines of personal revelation than of evidence), to believe that this formula of incense that the High Priest used on the Day of Atonement was characterized by the presence of Myrrh as a primary ingredient, making it a bitter-sweet mixture. 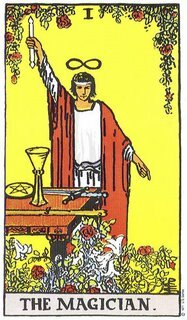 This also corresponds to the gifts of the Magi to the toddler Jesus Christ, Gold (Divine Fire), Frankincense (Prayer), and Myrrh (Burial). Myrrh, being a bitter substance, is symbolic of tears, shed over the suffering and death of a great and heroic figure. Much in the same way as the Maror at the Passover Seder table is used to induce tears. The words even share the same root. When the initial letter of these words is spoken, "Mem," it is the Hebrew word for water. "He now most carefully emptied the incense into his hand, and threw it on the coals of the censer, as far from himself as possible, and so waited till the smoke had filled the Most Holy Place. Then, retreating backwards, he prayed outside the veil as follows:" . . . The precise wording of this prayer, if it was a set prayer, is lost to us today. The Talmud supplies us with an example, but Edersheim and I agree that it rings of a later time period. 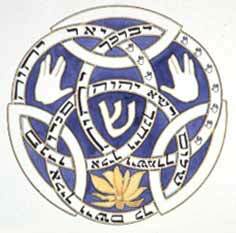 The manner of prayer used among Jews was to have uplifted hands, and eyes cast towards heaven. Rather the opposite of the folded arms and bowed head that most of Christian upbringing are made familiar with. It has been a posture of "crying out" since primitive times, as evidenced by phoenician, egyptian, and proto-Semitic alphabets. 777life.com says: "The earliest visual theme of Hey is a kneeling man (Hue) with raised hands." YHWH lift up his countenance upon thee, and give thee peace. Getting back to the subject of Temple ministry: As we mentioned above, the High Priest would leave that golden censer burning in the Holy of Holies, to fill the room with smoke so that he could bear the presence of the LORD without dying. Upon re-entering the room, presumably the LORD would have come in his presence between the wings of the Cherubim upon the Mercy Seat of the Ark of the Covenant, to communicate with the High Priest. The High Priest would have been obliged to cover his nostrils to guard himself from the thick smoke which pervaded the room. Many Jews have objected to the idea that Master Masons would have held their meetings in the Sanctum Sanctorum or Holy of Holies, even while the Temple was being built. I was told that the Kohen would have built it themselves, and done so from the outside of the room. I would entertain the idea that perhaps our original Ancient Grand Masters, while probably not the three depicted in our Masonic rituals, may have actually been High Priests, after (or before) the same custom as the Tabernacle, thus making them eligible to meet in that room. I don't know if Masonry holds any sustainable resemblance to the Priesthood which the Israelites held. And if it did, I'm not quite sure what that would imply. Some people think it descends from the Knights Templar. I think that much of it is far older than Templarism.